France swears in Emmanuel Macron as the 25th President of France. New French President Emmanuel Macron pledges to work to overcome divisions in society. 2017-05-7 Voters in France return to the polls for a run-off, to elect either Emmanuel Macron or Marine Le Pen as the new President of France. 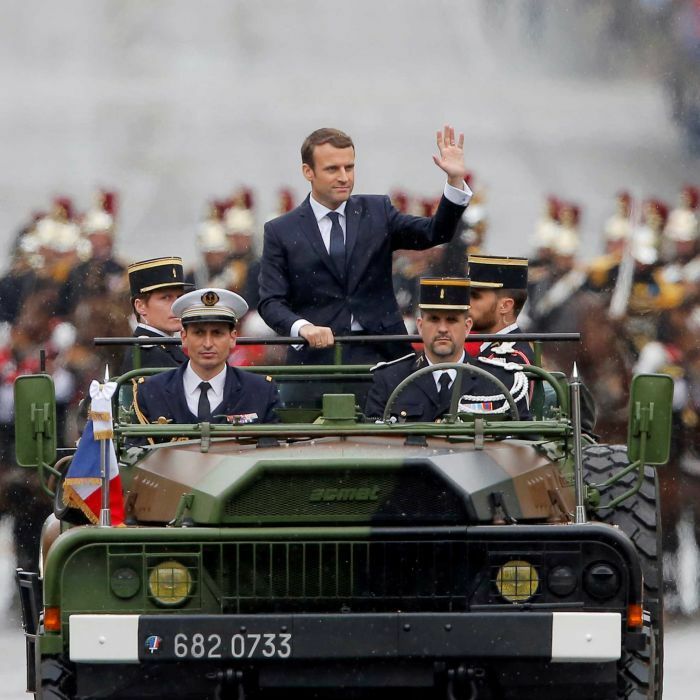 2018-11-6 Based upon information from the General Directorate for Internal Security, French authorities arrest five men and one woman suspected of planning an attack on French President Emmanuel Macron. Police report the suspects are radical far right citizens. 2018-10-3 French President Emmanuel Macron accepts the resignation of Minister of the Interior Gérard Collomb. 2018-07-22 A French judge hands preliminary charges to one of French President Emmanuel Macron's top security aides after video surfaced showing him attacking a protester at a May Day demonstration. 2017-11-10 French President Emmanuel Macron makes an unscheduled visit to Saudi Arabia amidst an escalating crisis between the kingdom and Lebanon. France is a close partner of Lebanon.